NOTE: This content is old - Published: Monday, Apr 30th, 2018. Traffic on the A494 in Deeside has eased following major delays on both the west and eastbound carriageways after an HGV collided with the central reservation earlier this morning. The incident happened on the westbound side along Aston Hill, fortunately no one was injured in the crash but debris and fuel affected both sides of the road causing long tailbacks up to Halkyn and past Sealand to the M56. 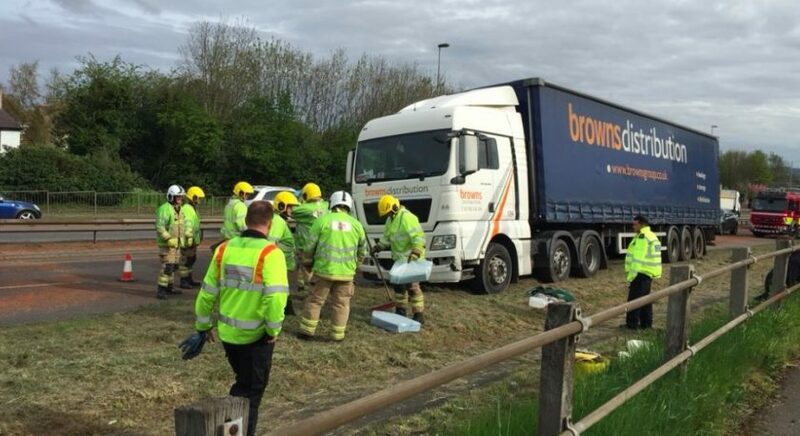 Two firecrews and a specialist unit from North Wales Fire and Rescue service attended the scene to assist with making the lorry safe and deal with fuel spill on the road. The lorry was towed from the scene at around 10.20am. 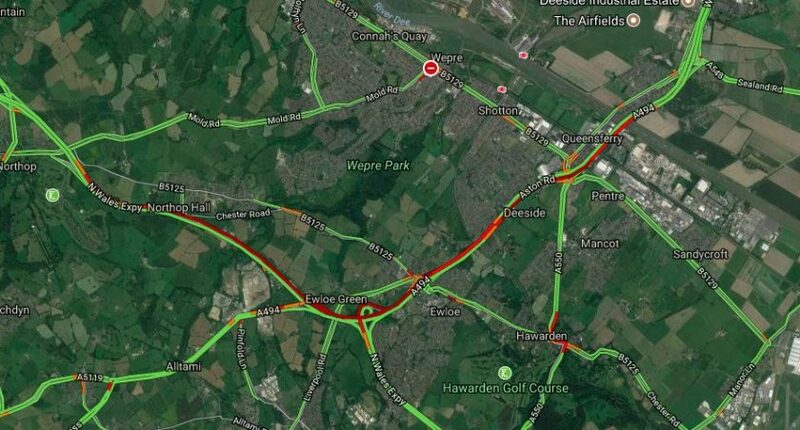 Reports of queuing traffic on the A494 on both the west and eastbound sides due to a collision on Aston Hill. The westbound carriageway is reported to be partially blocked by due to the collision. Queueing traffic and partially blocked due to debris on road and accident, a lorry involved on A494 Westbound between A550 Gladstone Way / B5129 Chester Road (Queensferry / Sandycroft Turn Off, Flintshire) and A55 J34 (Ewloe, Drury). Travel time is 20 minutes. A lorry has had a blow out causing it to collide with the central reservation causing debris and fuel to spill over the road. Recovery is on route.